In this article I ´m going to write about Reiki woman Haway Takata who follows the tradition of Mikao Usui and Chujiro Hayashi. I will describe how the original dedication from Hawayo Takata should looks like, how received object acts, what possibilities it gives for healing and meditation. Hawayo Takata objects are inside interchangeable according to the state of the umbilical cord in the navel. Reiki signs of Mikao Usui and his object over the burrial place can not be freely modified and also the object over the burrial place of Chujiro Hayashi can not be freely changed. Either samurai objects over their burrial place can not be freely modified. Esotericist copies object over the burrial place and can take the content of this object or modify it appropriately for himself. When you copy Mikao Usui sign from his burrial place into own aura above the head and the copy is identical and the content of the sign can not be alterered. But we can add own meditation on meteorites to this sign. Object of Hawayo Takata over the burrial place strongly corresponds with the navel area. Remains of the umbilical cord are behind the navel area. Navel area was during the pregnancy connected with the umbilical cord on the placenta which is placed around the child and from there to mother body. Umbilical cord is separated from mother body after the birth and from placenta. On the child body remains the navel and behind the navel remains the umbilical cord about the size of coffee dish. The sign of Hawayo Takata is connected into such area on the body and activates this area. Object over the burrial place of Hawayo Takata is copied by the consecration. Maybe you ask yourself: What is this object? How is this object created and where to place it? Such objects arise in the presence of meteorites but also any radioactive material as pitchblende, uranium, etc.. Such objects also arise after radiation, for example people in Chernobyl. And over the burrial place are similar objects as in the case of Hawayo Takata, Chujiro Hayashi and Mikao Usui. Also over the burrial places of Japanese samurai. We have also examined researchers who work with samples taken from comet 67P / Churyumov-Gerasimenko, as well as samples from the comet Wild. We have also examined individuals who worked with samples from the moon long time and all have formed over their heads light objects as Mikao Usui or Hawayo Takata. Even people working with radioactive material have above their heads in the aura such specific objects that stand in the interaction with the human psyche. And also the first Filipino healer treated so that he constantly touched with hands peculiar meteorite glass. When working with radioactive material with certain elements of the radiation, such objects are generated in the aura above the person´s head. Even people who have dealt with asteroids and comets as astronomers without direct contact, show a very delicate objects over the burial site. They do not have sufficient density. The advantage is that these objects after the death of a person do not cease and remain. And this is an excellent that objects can be copied or literally taken from the burial site. Object which Hawayo Takata left have one more exceptionality and so that this object is connected with the navel of the consecrated person and with the umbilical cord inside the person and create extraordinary two-way relationship. Chujiro Hayashi healed Hawayo Takata and opened her the part of her umbilical cord and such way was formed her Reiki object in the navel area. We were sicking also other healers who did meditation into the navel area, never come to contact with meteorite material and despite of this created Reiki object similar to Hawayo Takata over the burrial site. How this is possible? Perhaps here is only one possibility that the umbilical cord contains something that is not from this planet and it may be prehistoric nucleic acids straight from the cosmos. Material from the umbilical cord acts as the material similar to meteorites. Chujiro Hayashi had an Reiki meteorite objects over the head and his treatment was about the activation of nucleic acids in mitochondrial Eve by his Reiki sign. Mitochondrial Eve is concencrated in female ovum and become the part of the umbilical cord in the child. It multiplies and then controls mitochondria throughout the whole body. Oracular control of burial places of patients who were treated by Chujiro Hayashi discovered that they have Reiki characters similar to signs over the grave of Hawayo Takata. Mikao Usui also consecrated military doctors and inserted into their aura the copy of his sign. These military doctors treated soldiers and didn´t give them Reiki object from over their heads but they open them the navel area and in this area arised unique object similar to Hawayo Takata object. Over burrial places of soldiers from 1st world war are weaker Reiki objects. We strive to understand more deeply what are those objects over burrial places of Reiki individuals. So we´ve created the copy of the Hawayo Takata sign which is over her burrial place and we haven´t saved it into the navel area, but into the aura over the head. Here we already have some Reiki objects in aura over the head and now the object of Hawayo Takata has been added to them. As soon as we copied and installed this object, memories and a lot of information about the umbilical cord in the navel start to appear. 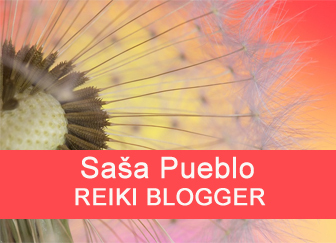 Reiki object is activated and works throughout the nervous system in the skin on the head and from there proceeds directly to the umbilical cord and starts to clean it. Umbilical cord is cleaned and activated to better functioning and initiated to healing of the person. 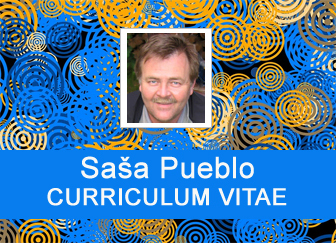 Healing starts from umbilical cord and goes to nervous system and here starts the phenomen of body healing. This is how the copy of Reki object Hawayo Takata works. Reiki object Hawayo Takata is activated always if the navel acts negatively and destructively on the body. 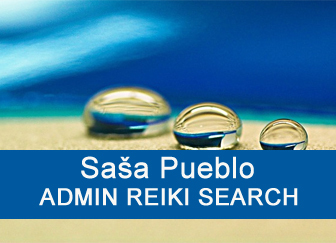 Reiki objects intervenes and forces the umbilical cord to operate in favor of the consecrated person. Umbilical cord behind the navel is actually remnant of child navel, umbilical cord, placenta around the baby in the mother and the connection of mother to child. Leading is the placenta and takes care of both mother and child at the same time. After the baby is born the umbilical cord is torn off and placenta is separated from the child but also the mother. But behind the navel of the child remains the remnant of the umbilical cord neurons and nerves in a size of a small saucer, cup of coffee. A umbilical cord has a flat shape as a small coffee plate. The umbilical cord contains remains from fundamental development – connection ovum and sperm, the structure of the morula, zygote, blastula and fetus. In these structures are mitochondrial daughter Eve, which was located in the ovum. Sperm does not contain mitochondrial Eve. And those daughters then build mitochondrial factories in the body for the production of unique chemistry and mitochondrial power plants. Most mitochondria is in the liver and bones. Mitochondria daughters, however, have inside build in command to the body destruction which comes from chromosome, gene and nucleic destructive programs which is called old age. Its crucial seat is in the umbilical cord and intervention of Reiki object Hawayo Takata is an exceptional thing. We found out by oracular research of long living individuals that mitochondria daughters in the umbilical cord work in the favor of the body and destructive system in such body starts to work later and slower. In order to produce active human longevity is necessary to slow down destructive mitochondrial program as possible. 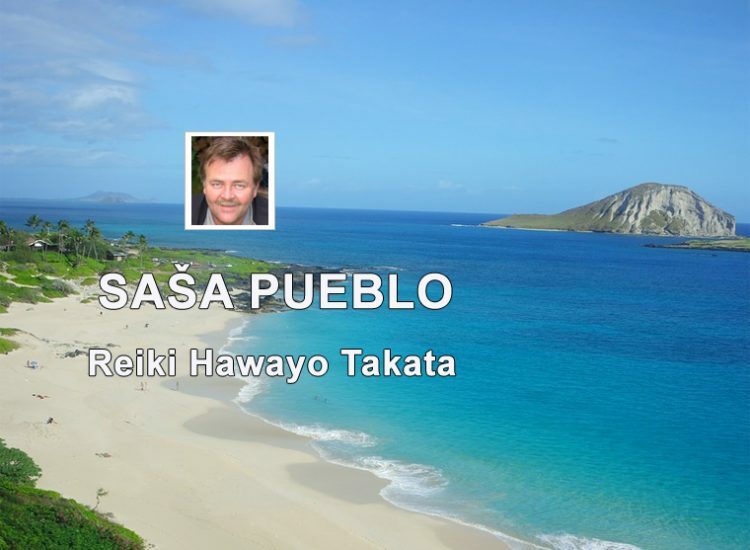 And for that is created Reiki object Hawayo Takata. Reiki object copied from the burrial place Hawayo Takata is placed over the head of consecrated person. Classical Reiki masters give their own object which they have from other Reiki master and not directly the copy of such object from the burrial place. Copied object is not a spiritistic object. Object which is copied over the head of the person was created as the action of weak meteorites radiation and human activity with meteorites. Object Hawayo Takata originated with the treatment from Hayashi who had got the copy from Mikao Usui and Mikao Usui got such object from autistic monk who consecrated his whole life to meteorites. Mikao Usui copied his object and placed it over heads of doctors. Hayashi is clear evidence that such consecration is possible. Also doctors during the first world war used such object to healing but not for the consecration. They didn´t have potential to give Reiki objects to somebody because they didn´t have what Mikao Usui have inside and that is a twin with vestigial structures. 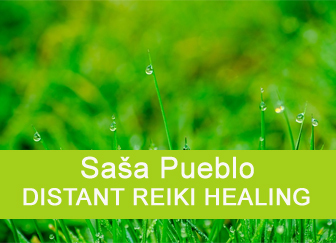 Sasa Pueblo has slightly open vestigial structures through the meditation. Vestigial structures are described in evolutionary medicine (such structures is about 200) and therefore he does not have the problem to copy objects of Mikao Usui and Hayashi or Hawayo Takata. Hawayo Takata wasn´t able to do consecration as Mikao Usui. She was only able to open the navel and the umbilical cord of consecrated person. Umbilical cord which contains nucleic acids from the cosmos. They are part of mitochondria in the navel area in the form of mitochondrial Eve. Respectively, they are daughter cells of mitochondrial Eve which are as base placed in ovum and after the fertilization mitochondrial daughters are created from mitochondria Eve. And these mitochondrial daughters create mitochondrial base of second core in the cell – mitochondiral factory and mitochondiral plant. If consecrated person realizes bio energetic object from Hawayo Takata over the head, then this object is activated, gradually going through the front nervous system in the skin and finishes in the navel and behind the navel is theumbilical cord. Gradually begins to open, clean and activate the umbilical cord and starts to prepare healing foreces of the umbilical cord. Often happens that the umbilical cord is broken or even devastates the body therefore cureing of the umbilical cord leads to better healt conditions. This state could be strengthen by the imagination of Hawayo Takata in the cerebellum or by extension of this imagination into whole body and embedding bio energy from bones into this imagination. Such specific bioenergy is created by persons who are able to do spiritistic seances and conduct interviews with own imaginations as if they were alive. Into Hawayo Takata object is possible to insert the imagination about the health, longevity, preserving intellect and storage in the world of the dead after own death. In the navel and the umbilical cord is possible to change destinies of people. Into Hawayo Takata object could be given the imagination of prehistoric grid structure which could be activated in the skin on whole body and later in this skin grid structure could be activated indian chakra system with its uniqueness. Of course, prehistoric nervous system in the skin should be activated before such activity. This is perceptible only by sensible and people with oracular abilities. In Hawayo Takata object could be inserted the imagination about the fat cells and the nervous system in fat cells. It´s also possible to add the imagination of the skin as new system for body nutrition. Reiki object Hawayo Takata helps to connect the navel and body fat with the skin as new placenta. This is next way of cells nutrition due to senile failure of digestion and inability to properly nurture body cells in good quality. Into Hawayo Takata object is possible to insert the imagination of abdominal brain in the gut. This abdominal brain is in the wall of small and large intestines and stomach. It is linked to a vagus nerve that goes from the center of the brain, passes through the throat and continues to the lungs, the heart and through the stomach and the small and large intestines goes into the uterus or prostate. Here is the effort to manage this nervous system that controls the entire digestion. Into Hawayo Takata object is possible to insert the imagination of prehistoric trilobite. And then object over the head of consecrated person will work in the navel area to open unique prehistoric structure of trilobite. In the navel area are stem cells which are not fuctioning but they could be gradually awaken and activated for the development of unique features. Into Hawayo Takata object is possible to insert the imagination of aura around the body. What is aura? Inside cells are mitochondia micro plants which produce bio electric current. This electric current flows into the body and cells. Then this electric current gathers on the body surface and around the body and creates something as energetic body core. Such energetic cover is called aura around whole body and inside such cover could work Hawayo Takata object. In Hawayo Takata object could be inserted the imagination of human and animal consciousness. In the navel area and the area of the umbilical cord is animal consciousness and this is has been built about 4 billions years. At the beginning were nucleic acids and they continued their development into body cells through different historical periods until current human. Each person has animal as well as human consciousness. If you are extremely ambitious then human consciousness is disconected from the navel and its base is lifted to the brain. Activity of Hawayo Takata object could be better supported by following activities which strongly activate it: into the cerebellum in the back brain is inserted the imagination that you become Hawayo Takata. Next the imagination of Hawayo Takata could be spread over the whole body and to this imagination is added bio energy from own bones as on the spiritualist seance in the communication with deceased. 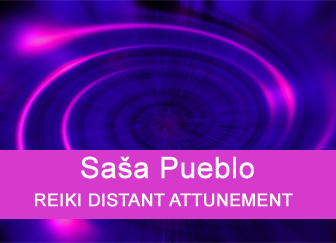 Here is the possibility to insert a hypnotic spinning disc into Reiki object Hawayo Takata and redouble the healing power of Hawayo Takata Reiki object. The activity in abdominal brain could be linked to own hands so then hands radiate energy that could be used for healing of different body parts. You are able to connect yourself to own umbilical cord, the area of the umbilical cord is activated with Hawayo Takata object. You use your hands as you would have two wands in your hands and you would look for underground water source and thus heal yourself. Extremely difficult technique is link of pregnant woman to own umbilical cord and so take energies from pregnant animal femal into own umbilical cord. Object Hawayo Takata could activates with the connection to the umbilical cord about 70000 energetic paths in whole body. Umbilical cord behind the navel could be used as basic entrance to erogenous zones all over the body. To Hawayo Takata object could be inserted the imagination of astral journey. Under astral journey we understand the body condition when it falls into something as coma and from this state goes into the clinical death. Palliation and mortification of the body leads to the release of human consciousness in the head or navel area. Human consciousness turns into something like a ball which is something like the imaginary eye. The eye may wander into the area around a person, to another person or into so called the world of the dead.